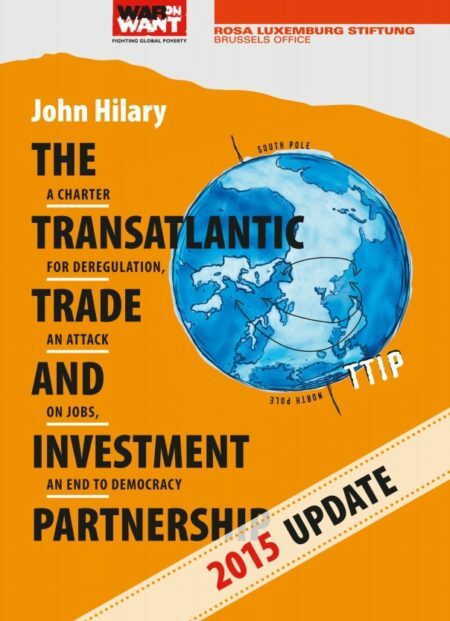 When the first edition of this booklet was published in spring 2014, few people could have predicted that TTIP would soon become one of the hottest political topics in Europe. A year later, the booklet has been printed in nine European languages and tens of thousands of copies have been distributed, while thousands more people have downloaded the text online. TTIP itself has become a key political issue in many countries, with growing media interest feeding off public fear at the substantial dangers that the agreement will bring. The concerns detailed in this booklet remain as valid today as when it was first published, given that the central design of TTIP itself remains unchanged. For this reason, the original text is reproduced here exactly as before, with all the references included so as to provide readers with access to the primary sources on which the analysis is based. Yet there have also been political developments over the past year which add to our understanding of the full meaning of TTIP and its likely impacts on society and the environment. This preface outlines those developments, again with references to primary sources, so that readers will have the full range of materials available in assessing the threat that TTIP represents.